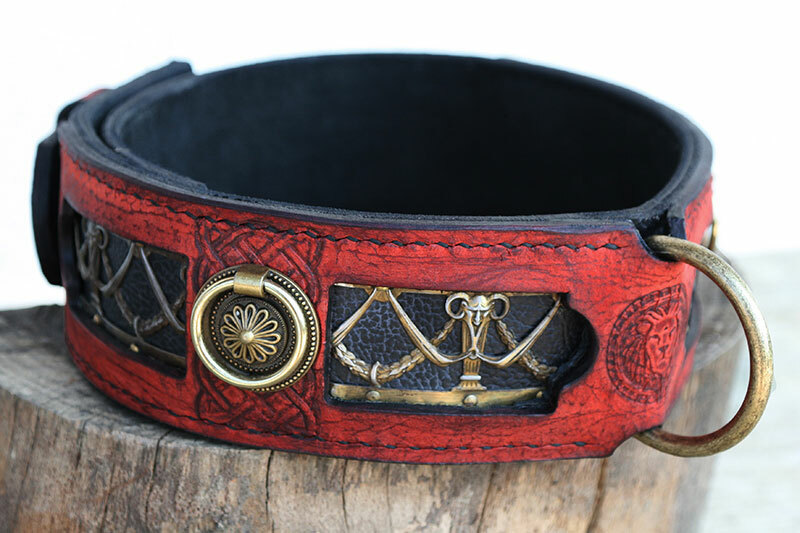 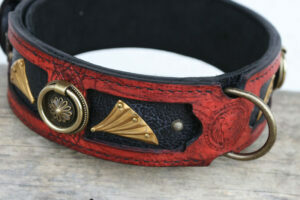 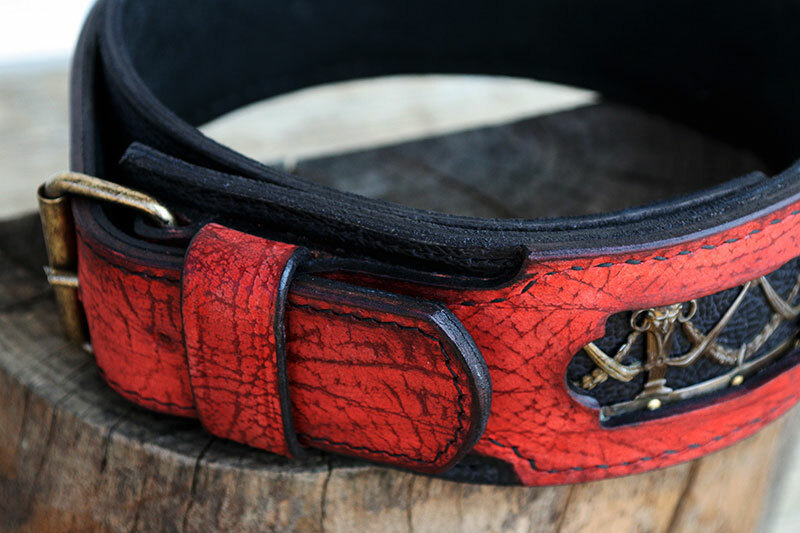 ROYAL Black and Red Leather Collar with solid brass fitting and unique vintage corona. 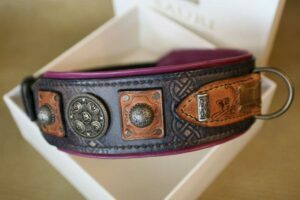 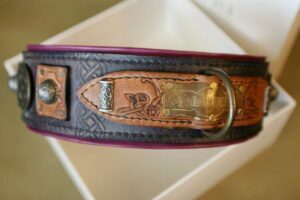 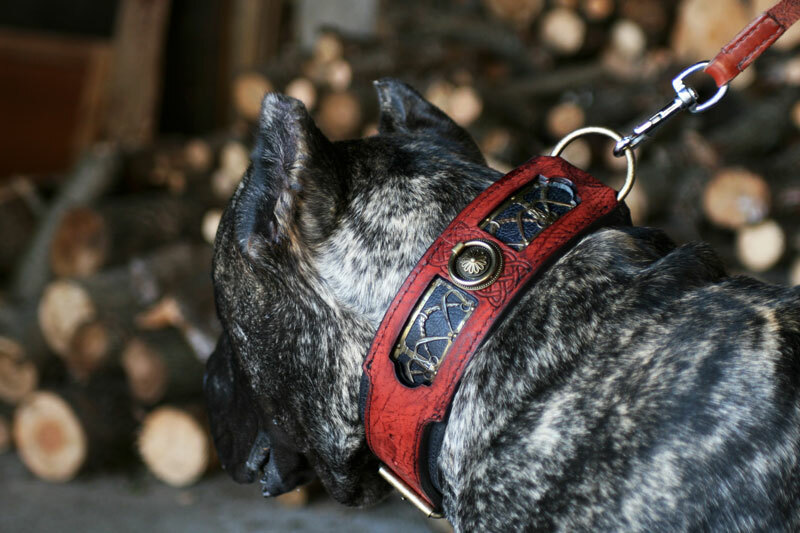 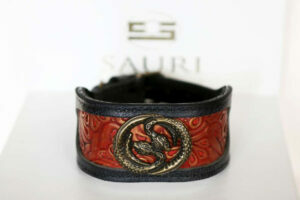 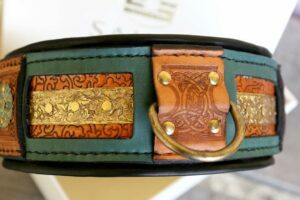 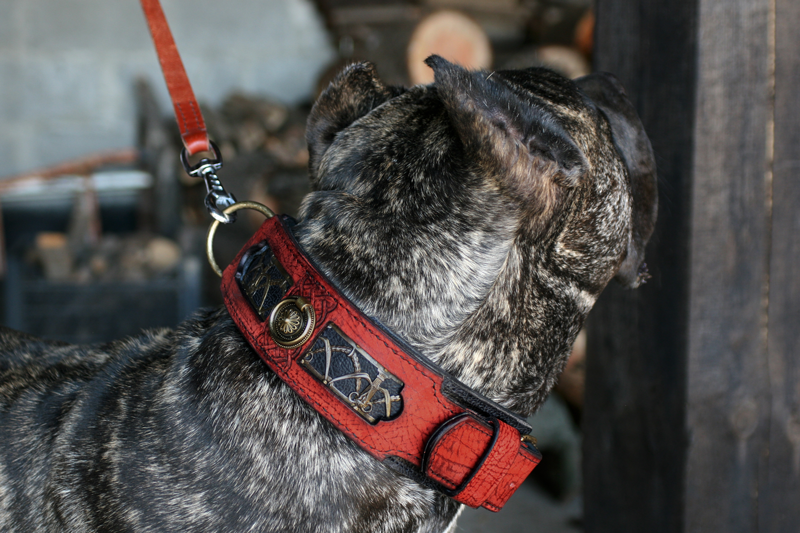 SKU: UC004 Category: Leather Dog Collars Tags: Dog walking, Embossed leather, Large dog breeds, Limited edition, Ornamented, Uniquely designed, Vintage collars Brand: Workshop Sauri | Leather dog collars. 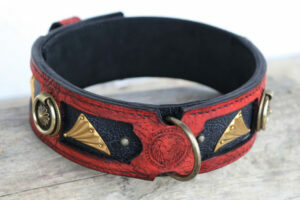 ROYAL Black and Red Leather Collar with solid brass fitting and unique vintage corona. 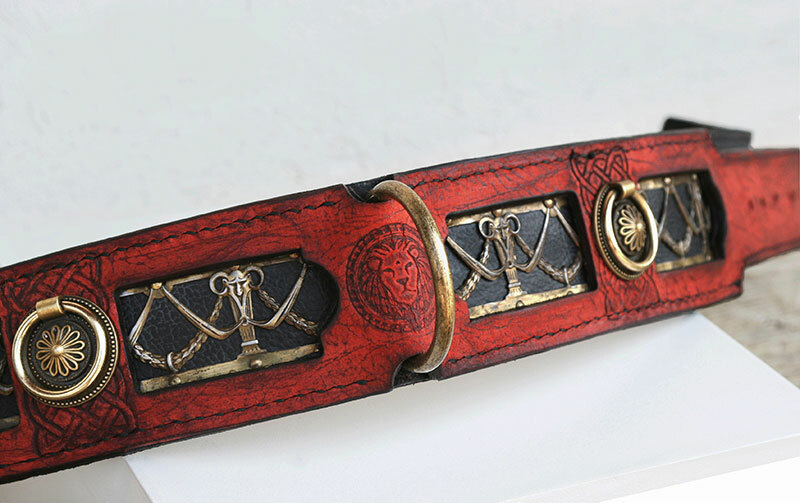 100% authentic design. 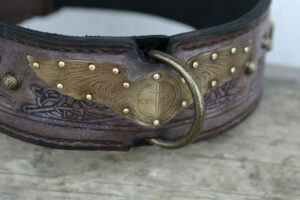 Hand-stitched in 3 leather layers, each 4mm thick full grain leather. 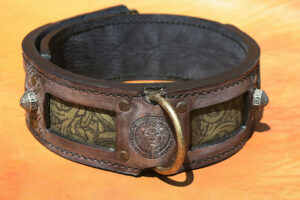 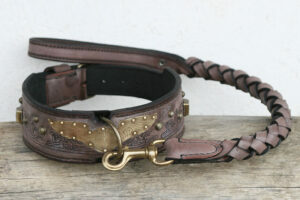 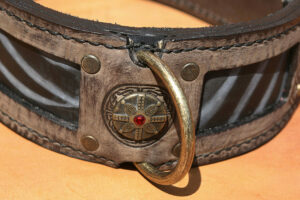 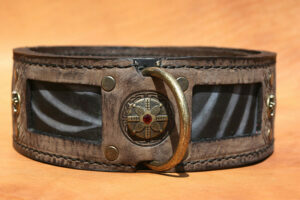 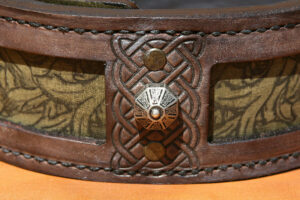 Where the largest exposure to pressure (buckle, D-ring) – the collar is strengthened with a fourth layer of leather. 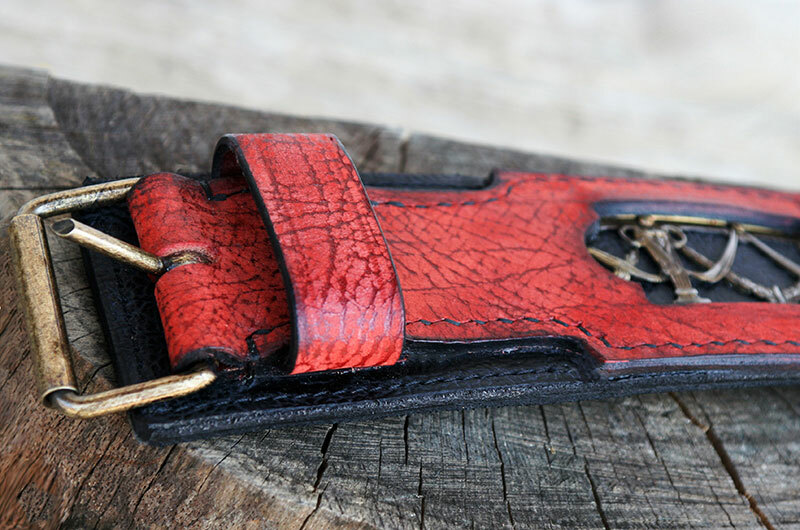 Nubuck background leather. 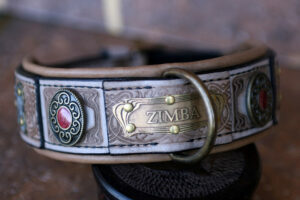 Very comfortable for dogs to wear.